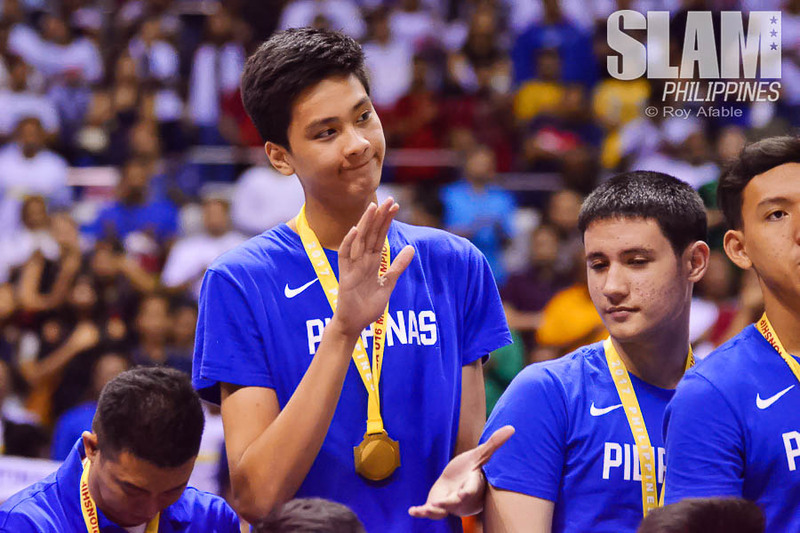 Last May 2017, Kai Sotto was thrown into his very first international competition in the SEABA U16 tournament. 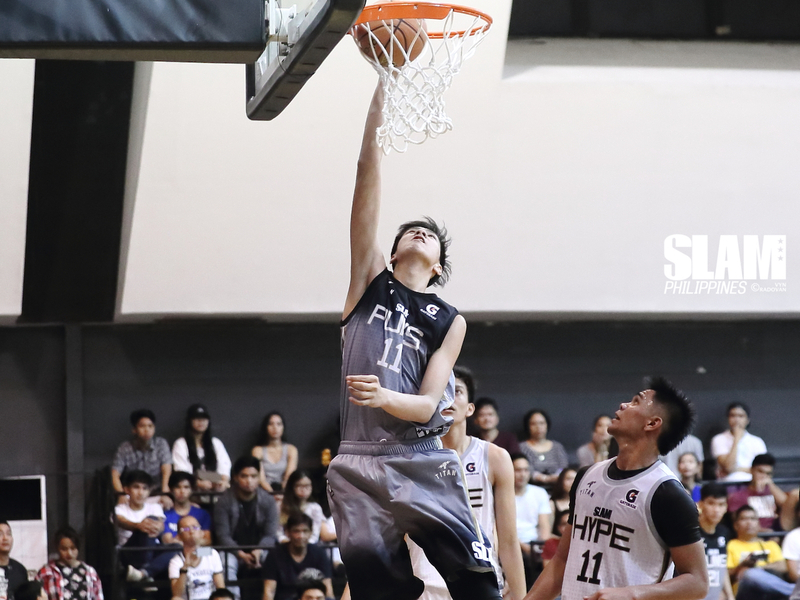 The competition wasn’t as stiff as what came from the FIBA Asia level, but the hype surrounding Kai was still immense. Talks of him potentially playing abroad were already circulating. The NBA was clearly a realistic goal. Coach Ervin Sotto had a simple, yet reasonable condition when it came to playing abroad. It was going to be a step by step process. He had to do well first in the Philippines, then the Asian level, and eventually, the world level. In the 2017 SEABA Tournament, Kai had a respectable tourney. He averaged 12.5 points, while pairing it as well with 8.5 rebounds a game. He clearly towered over the rest of the competition, and flashes of potential were also on display. He was raw, but you could see the talent. The SEABA teams and the Filipinos saw it at Araneta Coliseum during that tournament. But it turns out, there were other spectators watching as well. It was in 2017 when the Sottos started receiving offers from multiple teams abroad. “Madami eh. Mayroong Real Madrid, mayroong (Saski) Baskonia, (CB) Estudiantes,” shared Ervin, the dad of Kai. “May FC Barcelona pa.” All three teams play in the Liga ACB, the top Spanish professional basketball league, while Saski Baskonia, Real Madrid and FC Barcelona all play in the EuroLeague. Aside from offers from European teams, teams from the United States have also approached the Sottos in the hopes of getting the services of Kai. “Sa US, yung IMG (Academy), may (Texas) Longhorns, yung Gonzaga (Bulldogs) lately na lang after ng Argentina di na sila nakipagcommunicate sa amin,” shared Ervin. These were enticing offers that the Sottos received, but they knew they did not have to rush. It was going to be a step by step process, and the next challenge that Kai had to face was the UAAP. During Season 79, Kai’s first year in the league, he won Rookie of the Year after averaging 5.6 points, 6.8 rebounds and 2.1 blocks in limited minutes for the Ateneo Blue Eaglets. He followed up his promising rookie season by landing a spot in the Season 80 Mythical Five after averaging 12.9 points, 11.5 rebounds and 3.9 blocks. He punctuated his Season 80 run by winning Finals MVP with the Blue Eaglets, with averages of 17 points, 12.3 rebounds and 6.3 blocks versus the NU Bullpups. After finally proving himself in the UAAP, while also collecting a SLAM Rising Stars MVP to boot, it was finally time to take the next step in Kai’s journey. The FIBA Asia U16 2018 tournament that was held in China last April 2018. “Noong nag U16 siya sa China, tinest ko kung kaya niya maglaro na ganun yung kasama niya,” recalled Ervin. It was one of the caveats with Kai’s UAAP dominance. He was the tallest guy in the field. Filipinos did not know whether he could produce the same numbers versus players with similar size. Filipinos wanted to see if he could stand his ground, and so did his dad. By all accounts, he did. After a rough start versus Malaysia and Australia, Kai eventually found his bearings during the most crucial games of that tournament for the Philippines. Kai put up 28 points, 21 rebounds and three blocks versus Japan which gave Batang Gilas a slot in the 2018 FIBA World Cup U17 in Argentina. He followed that up with a 26 point, 21 rebound, six block showcase versus China, where he outplayed Chinese counterpoint Jiao Boqiao despite Batang Gilas losing. By the end of the tournament, Kai averaged 16.8 points, 13.5 rebounds and 2.5 blocks to rank first among all players in terms of efficiency in the tournament. His dad already knew what was the next step. “Kasi maganda pinakita niya sa China, next step doon sa Argentina,” recalled Ervin. Competition was stiff in the 2018 FIBA U17 World Cup, with Kai having been matched with bigs from second placers France, world powerhouse Canada, and noted NBA prospect Oumar Ballo of Mali. The test of Ervin was complete. He did well versus in the Philippines, proved his mettle in Asia, and did the unthinkable by making his mark in the world stage. 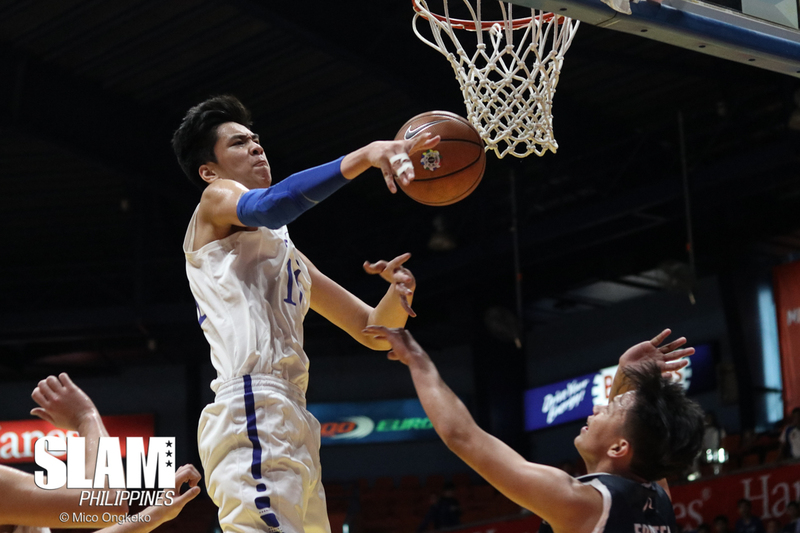 The question that’s in everybody’s mind now is, what’s the next step for Kai Sotto? Ervin reiterated that as of this moment, the offers from teams abroad specifically those from European teams are still on the table. Despite earlier reports stating that Kai is being offered 1 million dollars for five years by Real Madrid, Ervin squashed such claims. “Walang ganun,” stated Ervin. Ervin has served as a mentor for Kai throughout this process. He laid out a process that Kai completed over the course of a year. Ever since then, he’s only been there supporting Kai. At the end of the day, it’s Kai decision with the next step he’ll take on this journey of his. “At the end of the day, walang makakapigil sa dream mo na maging NBA player. Nasa sa’yo yun,” as Ervin would always tell Kai. It’s September 2018, and the status of Kai is pretty simple. “As of now, Ateneo Blue Eaglets si Kai. Sa Ateneo nag-aaral si Kai. Ateneo si Kai,” said Ervin. This time, however, there’s no more condition to follow. That was already fulfilled. 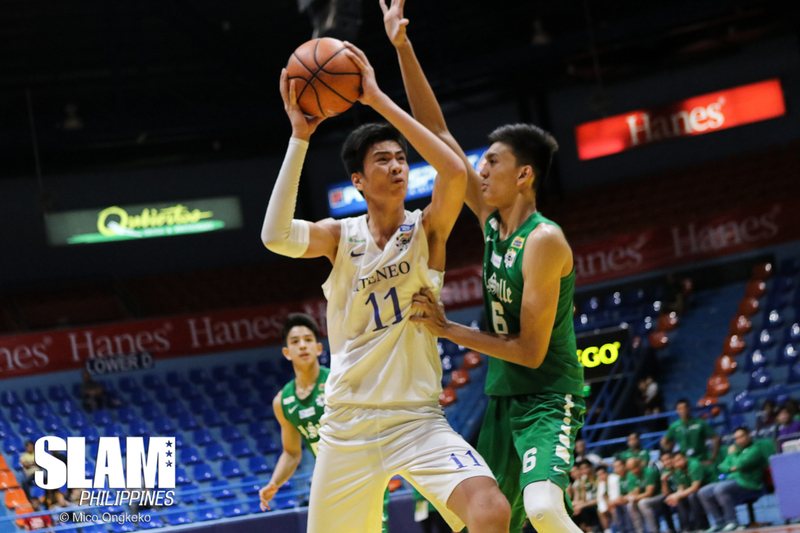 All we’re waiting for is Kai Sotto’s next move, a move that could potentially shape whether he makes it to the NBA or not in the long run. The Philippines waits for Kai’s decision, but that’s all we can do at this point: wait. The ball is in Kai’s hands.